Welcome to Ai Ais Resort in Fish River Canyon Namibia for all your accommodation needs. Ai Ais Resort in Fish River Canyon offers quality accommodation in Fish River Canyon Namibia for holiday or business travel. 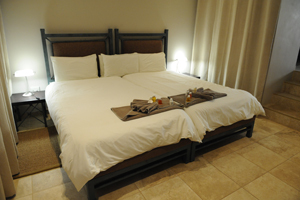 Offering an excellent place to relax around the thermal baths & heated swimming pool, especially after a hot, dusty drive or when completing The Fish River Hiking Trail. It is the ideal destination when heading towards South Africa, or north to Sossusvlei and Windhoek, for individual travellers and families alike. 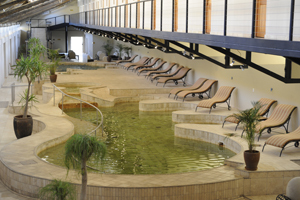 Ai-Ais Hotsprings Spa Resort is currently undergoing major renovations meaning that the the indoor pool is currently closed. The renovations also affect the River View and Mountain View rooms which will not be available during the renovation period. The restaurant, Family Bush Chalets and the Campsites will remain open throughout the renovation period. The partial closure will be in effect until at least 31st July 2017. /Ai-/Ais, which means "burning water" in one of the local languages, refers to the sulphurous hot springs which are found in this area. One of these springs has its eye within the camp. 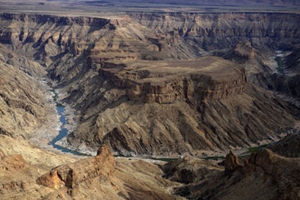 /Ai-/Ais lies at the southern end of the Fish River conservation area.